Since 1972, Fred’s Plumbing and Heating has been providing quality installation and service in the Plumbing and Heating Industry from the Dakota Dunes to the Iowa Great Lakes to Storm Lake; serving all of Northwest Iowa. At Fred’s, we are committed to providing our customers with quality work and satisfaction guaranteed. We sell, install, and service WaterFurnace Ground Source Heat Pumps; Lennox Furnaces, Air Conditioners, Heat Pumps; and Broan Air Exchangers. Our wide variety of Kohler, Delta, and Aquatic plumbing fixtures are bound to meet your household style for any new or remodel project. 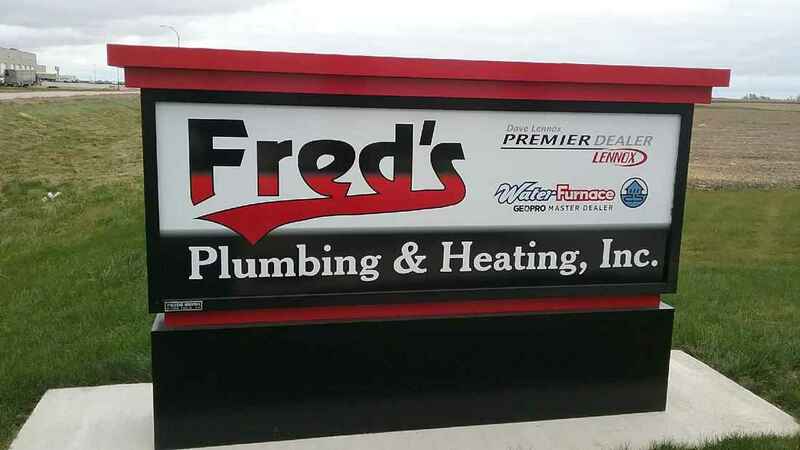 Call Fred’s today for a free estimate on all of your plumbing, heating, cooling, and electrical needs and let one of our proud craftsmen take care of you.